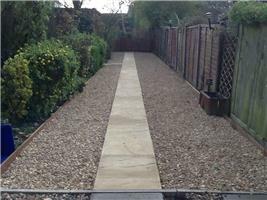 Fenland Landscapes - Driveways/Patios/Paths, Landscaper based in Northey Road, Cambridgeshire. I started my landscaping business in 2010 - I am now in my 40s . I started as a landscaper with my dad at the age of 16 . He passed away in 2004 and I decided that it was the time to start up my own business and it is all going great. If you would like to give me a call text or email for a free quotation and a friendly service.